If you love Bob Dylan's music or the song "Turn, Turn, Turn," you have a certain legendary American icon to thank. 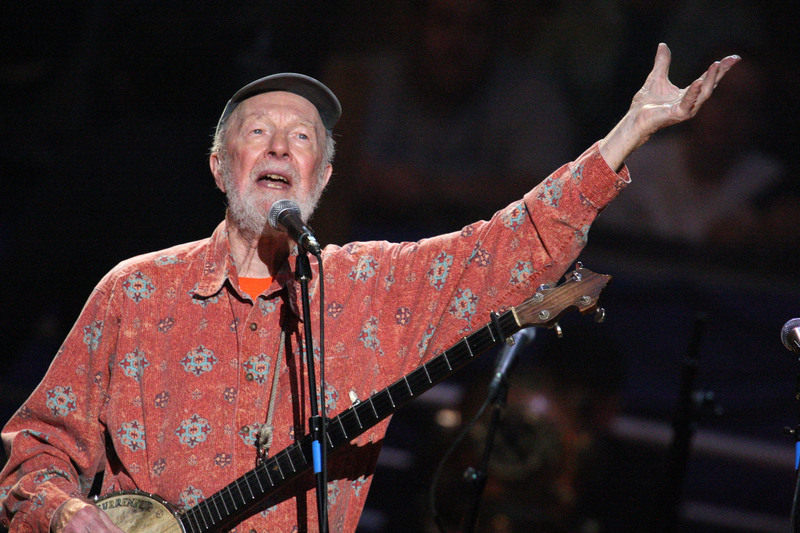 Pete Seeger died of natural causes on Monday at 94-years-old, and was inspiring people until the moment he passed away. Seeger was a folk singer and songwriter who inspired a revival of folk music in America for heritage and political change purposes. Seeger is responsible for writing a slew of American folk music, such as "If I Had a Hammer," "Turn, Turn, Turn," "Where Have All the Flowers Gone" and "Kisses Sweeter Than Wine." He was also in a quartet called The Weavers, and sang hits such as "Goodnight Irene" and "On Top of Old Smokey." Seeger was a mentor to Bob Dylan, Bruce Springsteen, and countless other artists. Seeger's grandson, Kitama Cahill-Jackson, said his grandfather had been at New York Presbyterian Hospital (close to his home in Beacon, NY) for six days when he passed away. "He was chopping wood 10 days ago," Cahill-Jackson says. Ever the political activist, Seeger drew attention to "We Shall Overcome" by printing People's Song, his own publication, in 1948. In the 1960's, he sang for anti-war efforts and civil rights. In 2009, he sang "This Land Is Your Land" with Woody Guthrie at President Barack Obama's inauguration. Seeger's music and political messages are classic American folk heritage, but he never wanted the limelight for fame. “My job is to show folks there’s a lot of good music in this world, and if used right it may help to save the planet," Seeger once said in 2009. Seeger lived an extremely full life — he performed with singer Woody Guthrie in his youth and recently marched with Occupy Wall Street protesters, even though he had to use two canes. Seeger was also known to take his banjo with him everywhere he went, ready to play a tune and make a difference. He also outlived his wife of 70 years, Toshi Seeger, after she passed away at the age of 91 last July. The couple has three children.